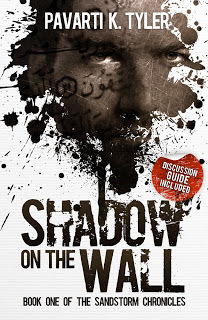 Enter to win an eBook copy of Shadow on the Wall! He rides in like a phoenix from the fire, black coat fanned out behind him. He’s a good man with a dark past, perhaps a penchant for violence, but it stems from passion not cruelty. He’s a lover standing in the rain, bleeding and victorious, come to find the one who makes him whole. The archetypical lover of women and role-model of men. We all know who he is, the outline of his shape branded on our psyche. From Achilles to Clark Kent, from James Bond to John McClane, he is a flawed and deeply driven man. What is it about the larger-than-life icon of “Hero” that draws readers in? Is it the psychological need to believe in someone who can do exceptional things? I think maybe it has something to do with the idea that one person can make a real and concrete change in the world. Heroes are often imbued with supernatural abilities or extraordinary qualities, but it’s not necessary for the hero to be from Krypton to pull us in to their plight. In fact, it’s not the supernatural of Superman that makes him a hero, but the goodness of Clark Kent. The idea of the “everyman” rising above the rest of us and accomplishing the impossible is seductive. The mild mannered alter-ego reflects our lives back to us. Work, bills, family and all the things that sometimes feel so average. Our internal conflicts of who we are, what do we believe, what do we stand for, are all pushed to the side in the interest of paying the mortgage and getting to work on time. It’s so easy amidst the sea of chaos in which we find ourselves to feel that nothing we do has any real impact. Apathy reigns supreme and in our busy lives the important things like life, liberty and justice have to wait until after our taxes are done. But a hero, someone with a single-minded focus, acting for good, can make a real difference. The hero character inspires us, makes us want to take up Jujitsu and hunt down our nemesis, thereby freeing the city. Real life isn’t so easy, not so black and white, and it makes these iconic stories so enticing. Standing atop a high building or speeding off to the next emergency, the superhero has a clarity of purpose which I find desperately appealing. In Shadow on the Wall Recai Osman is a man adrift. He is removed from his culture, his religion, and his legacy. But when faced with the existence of real evil he is compelled to act. In Shadow Recai must grapple with his own insecurities and complicated past. He is burdened by the same questions of substance as the rest of us. This is the story of him coming to terms with who he is and what he believes so he can heed Allah’s call to become The SandStorm. Later, Pavarti went to work in the finance industry as a freelance accountant for several international law firms. She now operates her own accounting firm in the Washington DC area, where she lives with her husband, two daughters and two terrible dogs. 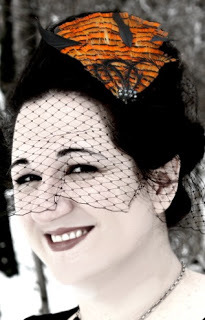 When not preparing taxes, she is busy working at Novel Publicity and penning her next novel.